Introducing our New iPhone App! Imagine our unmatched call management and attribution capabilities, available anywhere, all in the palm of your hand! Our entire office has been buzzing lately, and we’re excited to finally share the news: the official CallTrackingMetrics app is now available in the Apple App Store! The CallTrackingMetrics app is free, and it works on all iOS devices running version 11.0 or later. How does the app differ from the mobile view of our software? Well, the app actually integrates CallTrackingMetrics with iOS, so that when you receive a call through our app, the phone’s display will light up with your contact’s information and some of our amazing metrics. This will occur even when the screen is locked, so you don’t have to worry about missing calls! We can also keep you up-to-date with instant push notifications for calls, texts, and other activity. The official CallTrackingMetrics app can truly do anything that the desktop version of our software can do. Thanks to our integration with Okta, you and your agents can enjoy a streamlined login using corporate credentials. 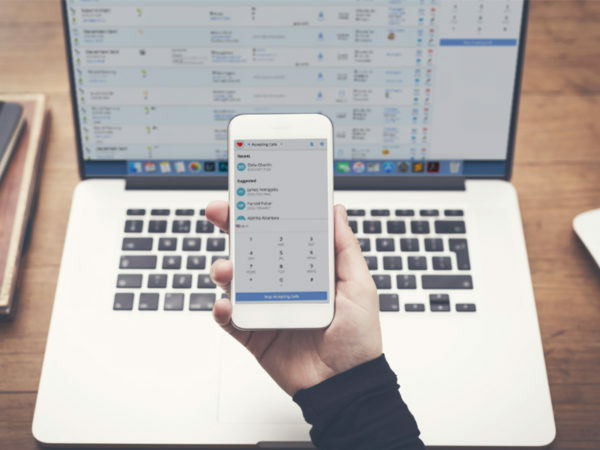 After logging in, your agents will be able to stay seamlessly connected to your phone system, anywhere in the world! You can protect your system from anywhere by easily managing user and client access from the CallTrackingMetrics app. It will work anywhere your phone is connected to a cellular network or Wi-Fi signal, even on international travel. Planning to depart on business travel soon? 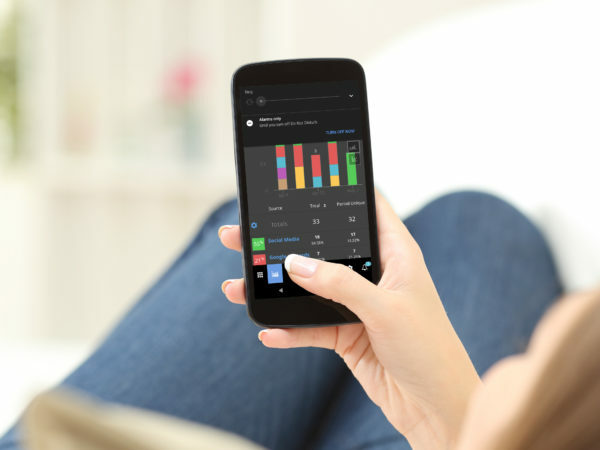 Never skip a beat by live-monitoring your agent’s activity on the CallTrackingMetrics app! Our app can generate any report that our desktop version creates, from anywhere, anytime. Continue to record and save regular and encrypted call recordings, and access our secure keyword-smart transcriptions. While you’re traveling, you can even use our app to send and receive calls and texts without racking up charges on your cellular plan. Our app also supports conference calls, so you don’t need to be in the office to set up or join the next meeting. Don’t let an active call slow you down; our app can access reports and send SMS messages without interrupting your conversation. 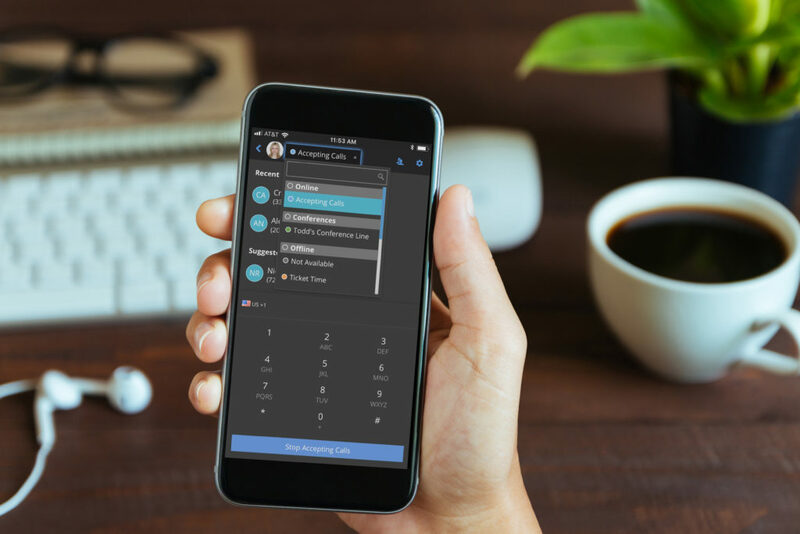 You can even switch between desktop mode and our iPhone app while connected to the same active call! 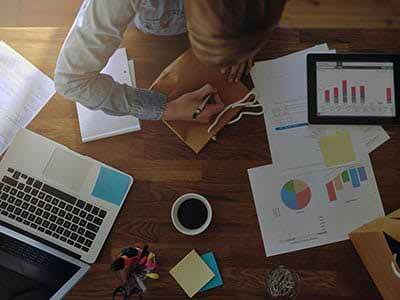 Can’t wait to get started working from anywhere with the CallTrackingMetrics app? Head over to the app store on your iOS device and download it today! Introducing our New Android App!